The 2012 Harley-Davidson® CVO™ Street Glide® is full of all the premium features you expect from a Harley-Davidson CVO motorcycle. Take a minute to look at the pictures of the Agitator custom Harley wheels. 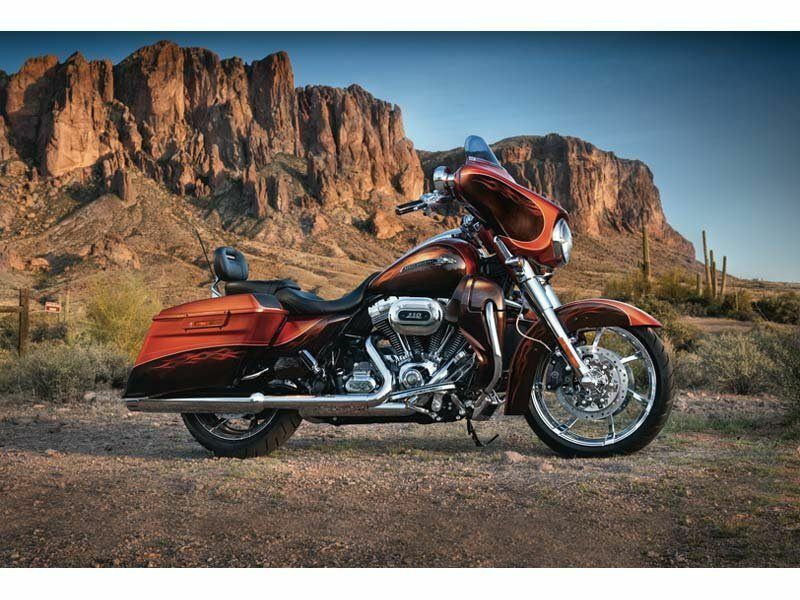 The CVO Street Glide has some of the largest wheels of any Harley touring motorcycle at 19 in. These wheels have a seven spoke design with full floating brake rotors. The brakes include a 4-piston front and rear caliper with dual front rotor system. The bike also has custom premium paint like no other factory custom motorcycle. 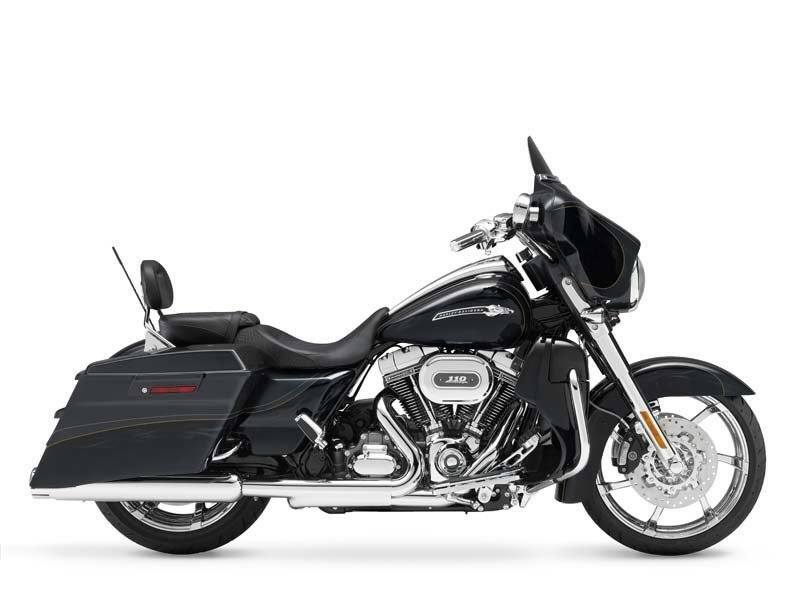 A Screamin' Eagle® Twin Cam 110™ engine powers the Harley CVO Street Glide. Check out the Phantom Flame Graphics and all of the other one-of-a-kind features found on this CVO Harley motorcycle. It features a 2-piece seat with detachable passenger pillion. 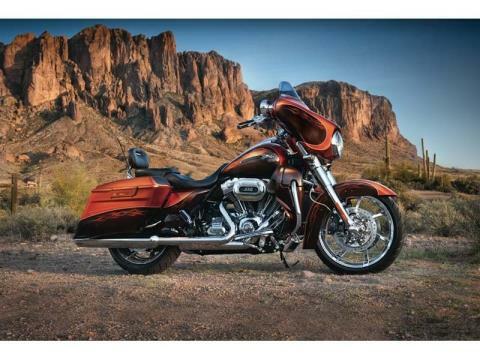 It also offers premium amplified audio including additional speakers in the saddlebag lids.